Syed Amjad Ali on Twitter: "What’s New in Articulate Storyline 360? – Swift #eLearning Services #swiftelearning #ArticulateStoryline360 #HTML5 https://t.co/5TVKmVycwQ… https://t.co/3RnuvxwoCN"
Syed Amjad Ali on Twitter: "Rationale of using eLearning in Business Application Training #swiftelearning #eLearning #Microlearning https://t.co/DFpWqEYiaW… https://t.co/TjdfCl0DsX"
Syed Amjad Ali on Twitter: "Create A Better Learning Experience by Converting PDFs into E-Learning Modules #swiftelearning #eLearning https://t.co/pR1jT0U9pa… https://t.co/fQM8p2NpQp"
Syed Amjad Ali on Twitter: "New Features in Lectora 17 to Enhance Custom #RapidElearning Development #swiftelearning #eLearning #Lectora17 https://t.co/b7L3bIYL66… https://t.co/clkiBSSyOU"
Syed Amjad Ali on Twitter: "Articulate 360 Product review by Swift eLearning Services #swiftelearning #AuthoringTools #HTML5 https://t.co/prRBZowITb… https://t.co/kp9ymLStdc"
Syed Amjad Ali on Twitter: "Top 4 Benefits of Elearning Over Instructor-Led Training #swiftelearning #eLearning #MLearning https://t.co/yGBTzXCbdn… https://t.co/s3WtmVga1W"
Syed Amjad Ali on Twitter: "Articulate Studio 360 new features, Articulate 360 #swiftelearning #AuthoringTools #eLearning #Articulate360 https://t.co/xgDRwtCJV4… https://t.co/dnxptvEUwg"
Syed Amjad Ali on Twitter: "5 Common Mistakes to Avoid While Selecting a Learning Management System #swiftelearning #LMS #elearning https://t.co/w5o1r2Y1Ke… https://t.co/RmxZakK5pj"
Syed Amjad Ali on Twitter: "Articulate 360 Rise features review, Swift Elearning #swiftelearning #Articulate360Rise #AuthoringTool https://t.co/Trste1VClw… https://t.co/XP7eueInYt"
Syed Amjad Ali on Twitter: "Elucidat: Responsive Cloud-Based eLearning #AuthoringTool #swiftelearning #Elucidat #eLearning https://t.co/XdGAgdqEYF… https://t.co/zNWZFksczX"
Syed Amjad Ali on Twitter: "#Elearning in Manufacturing Industry, How Elearning Solves #Training Challenges #swiftelearning #EmployeeTraining https://t.co/Qiqceuyr9F… https://t.co/IAo4NCwnbG"
Syed Amjad Ali on Twitter: "Adobe Captivate 2017 is here with shared advanced actions #swiftelearning #Adobe #Captivate2017 https://t.co/lqg8erxPW8… https://t.co/WFJq0SXQdT"
Syed Amjad Ali on Twitter: "Tips For Choosing The Right Learning Management System (#LMS) #swiftelearning #Training #eLearning https://t.co/2ubBrVWseg… https://t.co/oil3V5pZzf"
Syed Amjad Ali on Twitter: "Articulate Storyline 360 Vs Rise - Building responsive elearning #swiftelearning #AuthoringTools https://t.co/CChpMZK82c… https://t.co/xoFGVfxUzC"
Syed Amjad Ali on Twitter: "TOP 6 Benefits of Cloud-Based LMS For #CorporateTraining #swiftelearning #LMS #CloudLMS #Training #elearning https://t.co/KYrB6yiish… https://t.co/6MwHaG7zJ4"
Syed Amjad Ali on Twitter: "Have you ever tried to replicate Flash animations in Storyline? 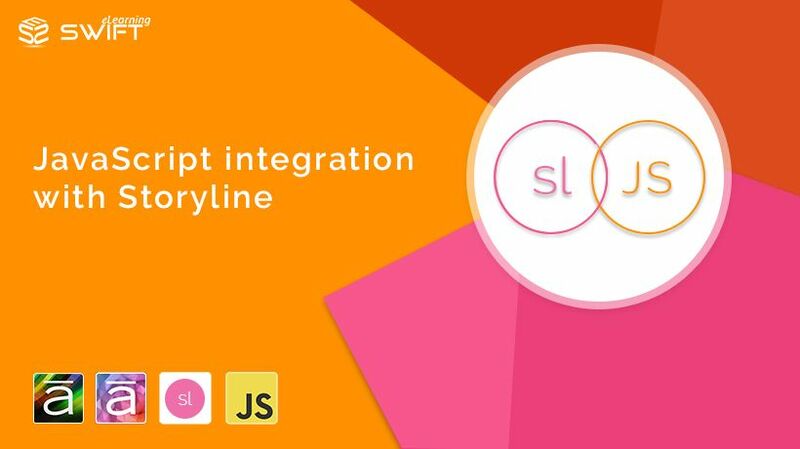 #swiftelearning #MotionPathAnimations #Storyline360 https://t.co/8a68sR6u2n… https://t.co/YYpBzchkTy"